Happy (almost) October, my beautiful friends! I hope you’re having a lovely fall so far. We had a pretty warm September – filled with lots of playing outside (mostly digging in the dirt) and when we weren’t outside, we spent time coloring and doing puzzles. Willow’s latest obsession is puzzles and not just the big, jumbo-piece sets for kids…I’m talking the 750 piece puzzles! I’m not ashamed to admit that there was a weekend when we didn’t leave the house and the three of us sat and worked on a puzzle in our jammies – I think we all needed that time to just relax and spend quality time together. 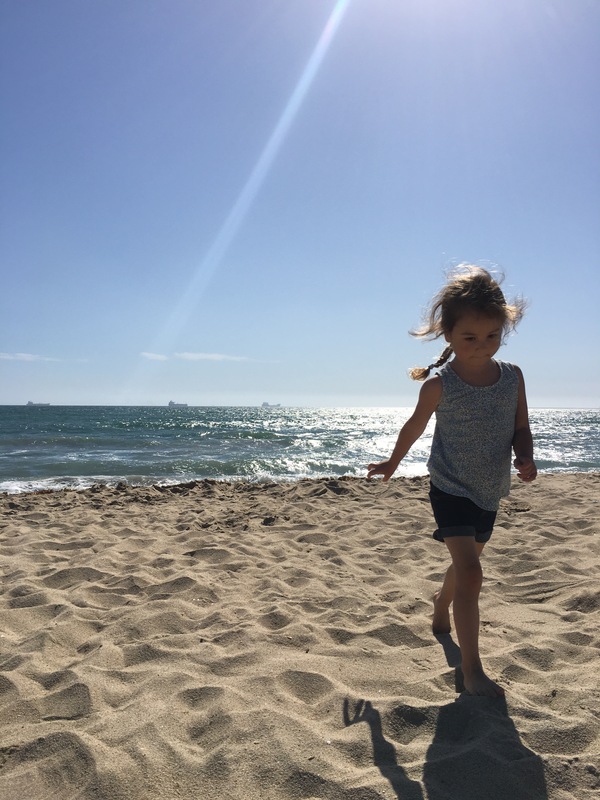 Willow and I also took a last minute road trip with my Mom to Southern California to visit with dear friends – they were (are) family to me – they gave me a home when I didn’t have one years ago. It had been 10 years since we’d seen each other and it was an emotional and much needed reunion. Bittersweet, lots of tears, and heartfelt memories. 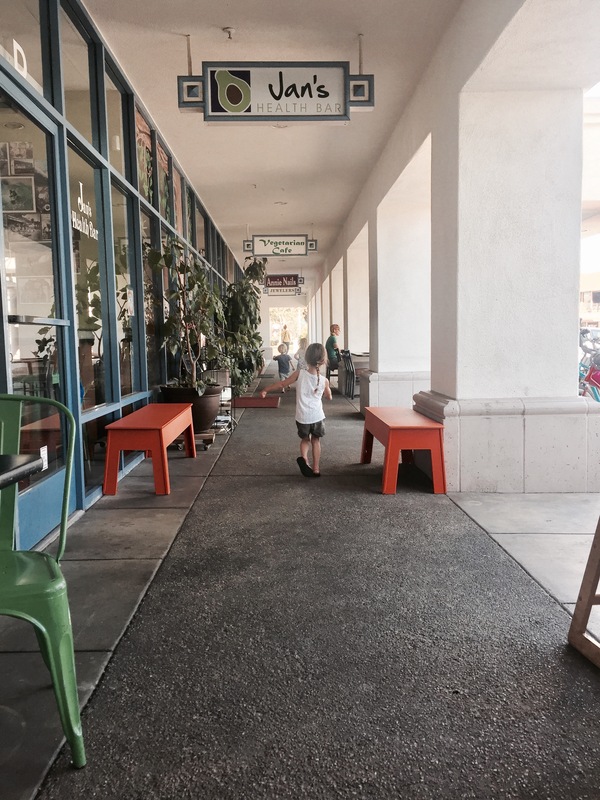 This post contains a few products we found while in California. **Please note that not all products shown here are AIP-friendly…I have started to slowly reintroduce some foods back into my diet – I will have a new post up soon with my progress and what I’m eating. 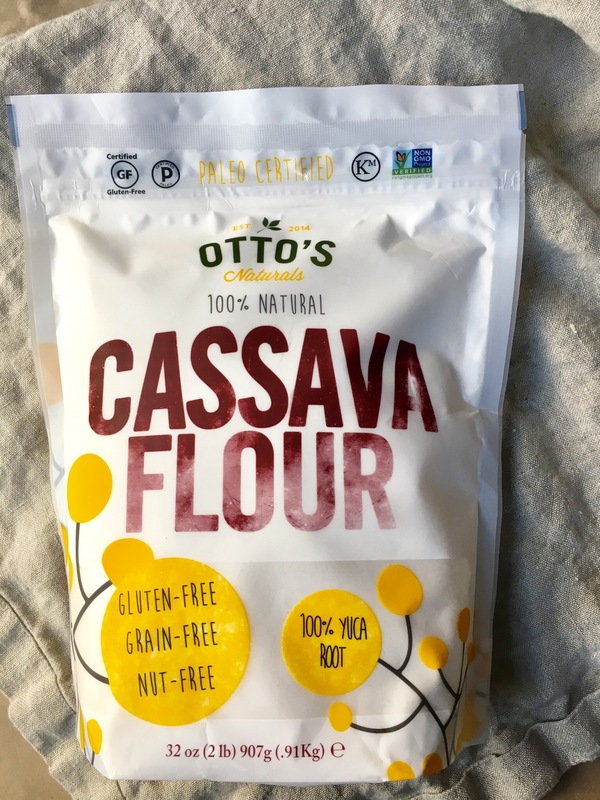 Otto’s Naturals Cassava Flour >> I purchased this via Amazon, but have since noticed it sold in Natural Grocers for a few dollars less. It’s on the pricier side…think almond flour, but when your options are very limited, the splurge is ok – besides, I’m not buying any other flours right now (gluten-free, buckwheat, almond, etc.). It’s very fine and looks a lot like regular flour – I’ve also been using it to make donuts – recipe coming soon! Paleo Wraps >> You can find these wraps in quite a few stores and online, but so far I’ve found that the best deal is at Whole Foods for $8.99 a package. I don’t use them that often since they are pricey, but they’re really versatile – sweet or savory meals – You can fill then with fruit or veggies. I like that they also hold their shape and don’t break apart when you overstuff them! There is a slight sweetness due to the coconut, but I love that they’re raw and contain just a few simple ingredients – no gums, additives, preservatives. Here I’ve filled it with plenty of raw veggies – red leaf lettuce, carrots, zucchini, cucumber, cabbage, and avocado. 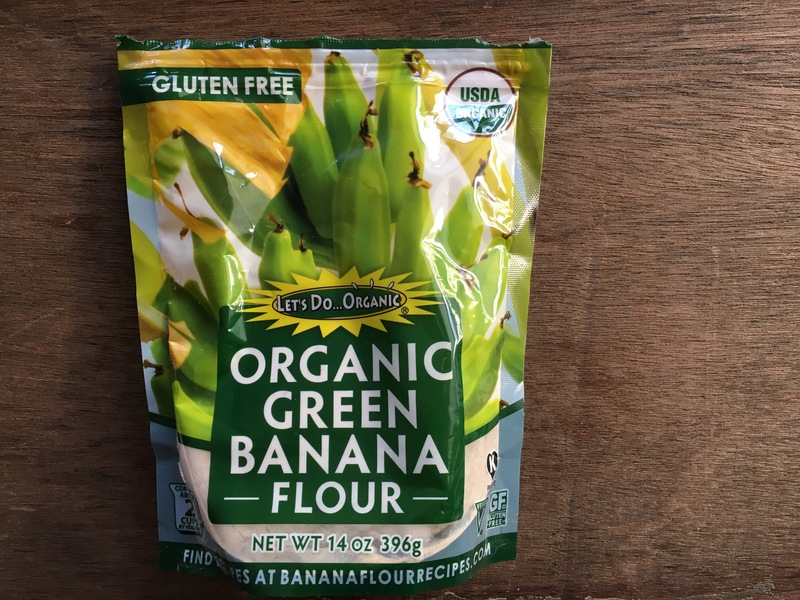 Let’s Do Organic >> Green Banana Flour >> I have found this in both Natural Grocers and Whole Foods for $5.99 a bag. It’s come in handy to make AIP-friendly pancakes and other baked goods. From my experience, it has a nice subtle flavor and great texture. 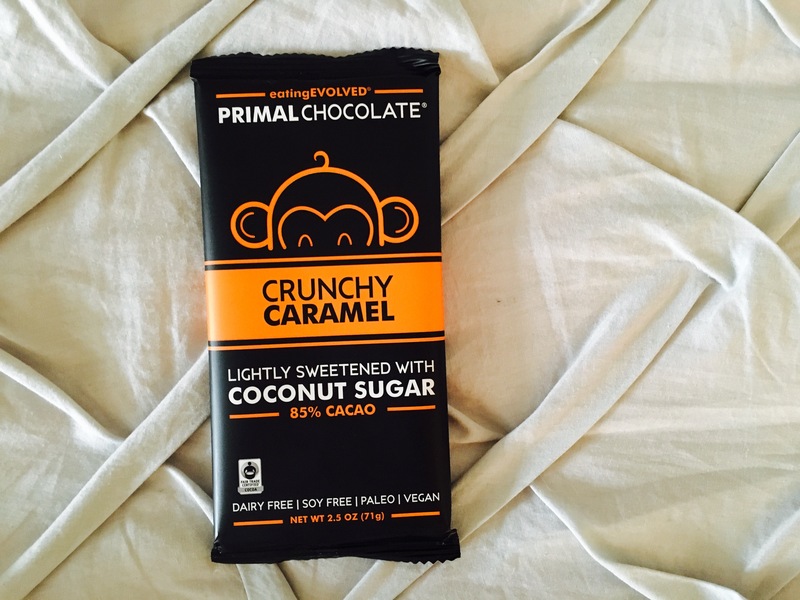 Eating Evolved Primal Chocolate >> Crunchy Caramel >> You guys. I caved. I went almost a full month without chocolate…and then I saw this in the Long Beach, CA Whole Foods. Only three ingredients (organic cacao, organic coconut sugar, organic cacao butter), I absolutely had to try it! You might remember last year, in a favorites post, that I shared their coconut butter cups and loved them, so I already knew that I would enjoy this bar. It is 85% cacao – which makes it a tad on the bitter side, but that didn’t stop Willow from trying to steal this from me…I shared, no worries! I loved how it wasn’t overly sweet – weird as this may sound, I’ve been shying away from a lot of sweet treats and gravitating more towards savory. 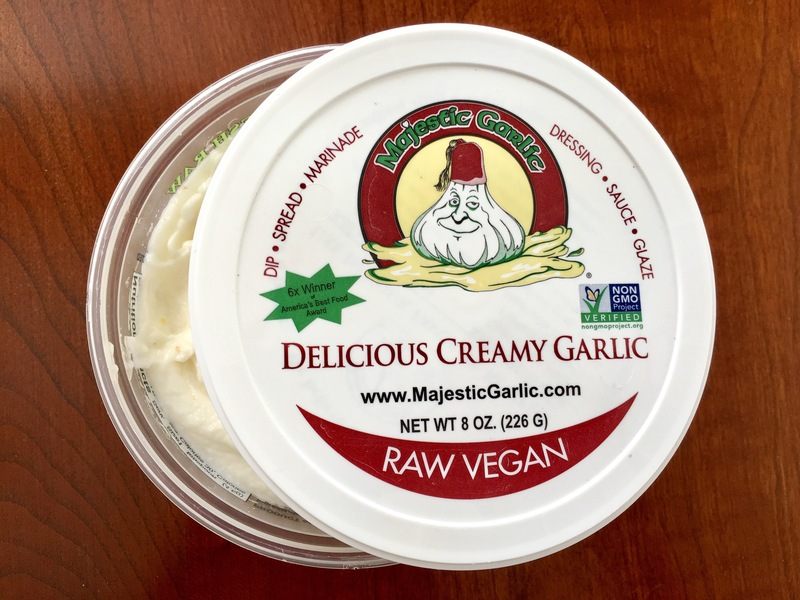 Majestic Garlic >> Delicious Creamy Garlic (spread) >> Out of everything new that I tried during September, I’d have to say that this was my absolute favorite! We found it in the Long Beach, CA Whole Foods and I was so tempted to go back and stock my cooler with a few more tubs to take back home. The first ingredient is fresh raw garlic and it’s got this amazing, light, fluffy, texture that makes it insanely versatile – Willow dipped some gluten-free crackers in it and we also used it as a sauce for a cold lentil pasta salad for the drive back home. I hope to see it in stores here in Bend, OR soon! 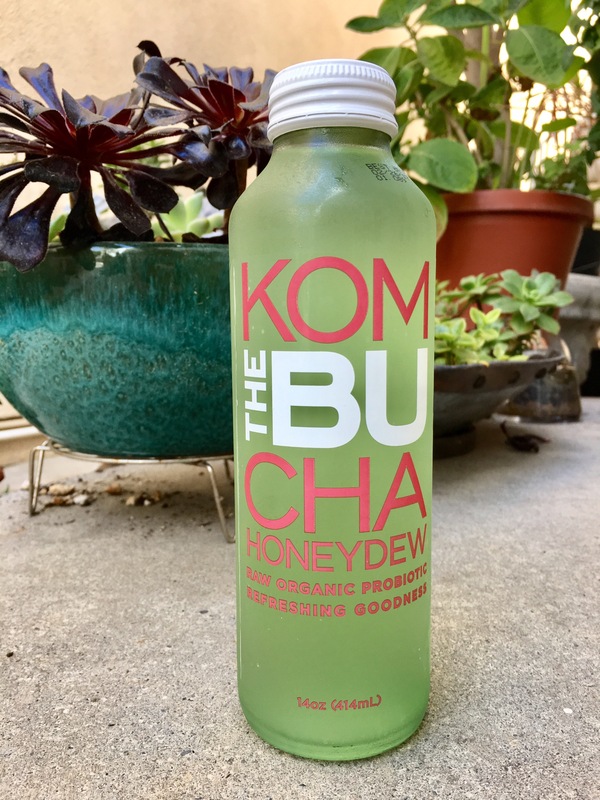 TheBu Kombucha >> Honeydew >> Another gem we found at Whole Foods while in CA! You know me and my LOVE for kombucha and whenever I spot a brand I haven’t tried, I need to. This one did not disappoint! Refreshing, not overly sweet, and absolutely hit the spot on a hot day. Willow enjoyed sharing this with me. 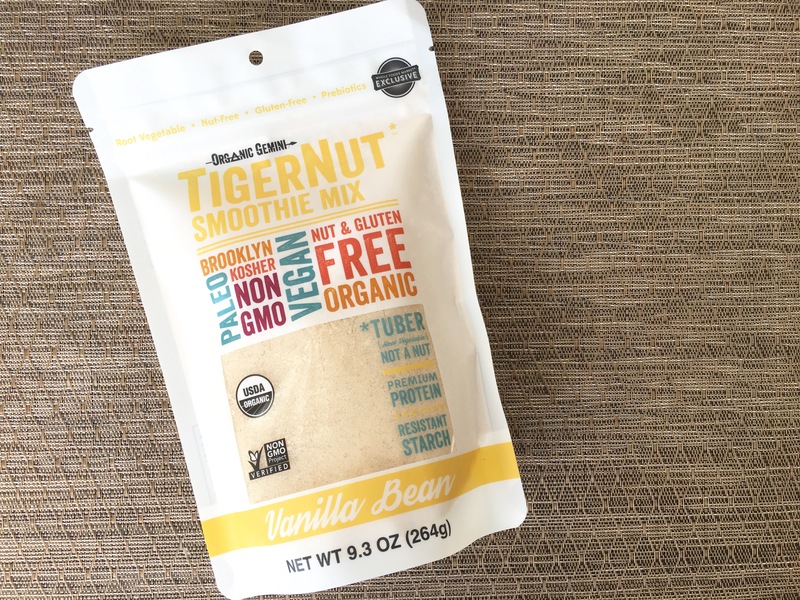 Organic Gemini >> TigerNut Smoothie Mix (Vanilla Bean) >> Yet another item I found while in California (Whole Foods)! Now if you’re looking for a high-protein powder, this is not for you, but if you’re looking for a gut-friendly way to boost your smoothie, look no further. I don’t do smoothies as often as I once did since I have to limit my fruit intake, but when I do make them, I’ve been adding two tablespoons of this mix to the Vitamix. I make a simple banana-blueberry-spirulina smoothie with this added in – I find the flavors go so perfectly together. This is a Whole Foods Exclusive product and is sold for $14.99/bag. Also comes in Cacao Bean and Original. Simply O Organic Juice Bar in Los Alamitos >> I LOVED walking into this place and instantly being engulfed with the scent of fresh juice. 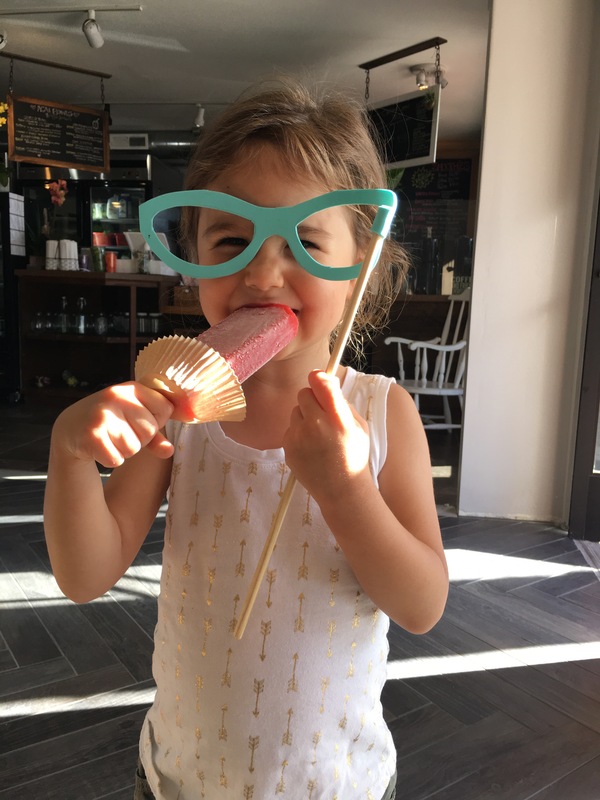 It was hard to decide what to try, so I went with a green juice (Green Street) and Willow had an organic strawberry ice pop….I’d say she really liked it. When you walk in, to the right is the juice/smoothie bar and to the left is Pacific Organic Pops where they sell…you guessed it, popsicles! Not all of them are vegan as some are made with milk, but this fruity pop that Willow chose was so perfect for a hot California day! Turmeric Zucchini Soup >> Eat Drink Paleo >> This was probably the easiest soup I’ve ever made, but one of the best! I made some minor adjustments to fit my diet (used an organic mushroom broth instead of vegetable broth and used Trader Joe’s organic coconut milk instead of full-fat). It had a cheesy flavor despite not having any nuts or nutritional yeast, which was a pleasant surprise. Crispy Sweet Potato Fries >> Cultivate Beauty >> I am in love with this recipe. We’ve made it countless times over the last month because Willow actually eats them too! I have used both sweet potatoes and yams to make this recipe. So the post where I found this recipe is actually called The Secret to Crispy Sweet Potato Fries…if you avoid oil at all costs, then this isn’t for you. I have added some coconut oil and avocado oil back into my diet so I was excited to try this! 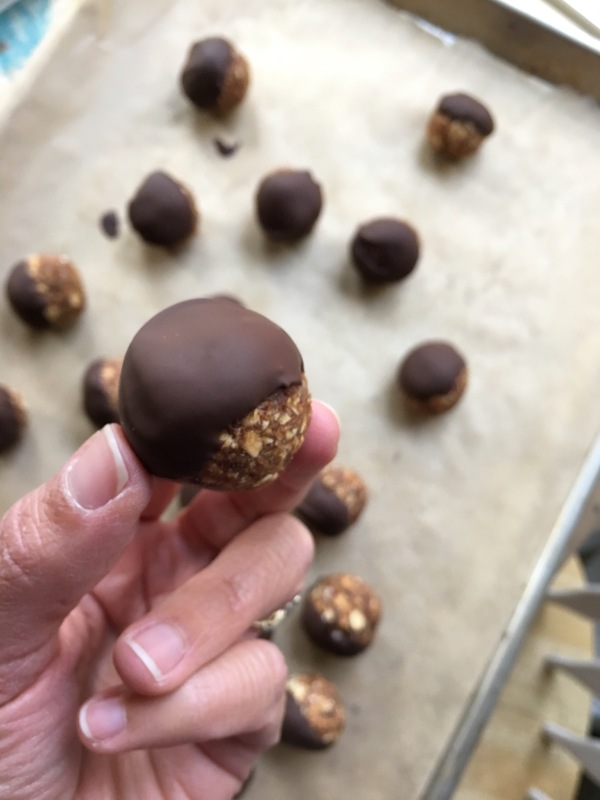 Caramel Peanut Protein Truffles >> Veggies Don’t Bite >> When I received the email for this recipe, I knew I absolutely had to make these for Willow. What kid doesn’t like peanuts + chocolate?? I decided to whip these up to take along on our road trip as a treat for Willow to share with my Mom. I let her sample one the day I made them and her eyes lit up with the first bite! She devoured it and asked for another one…I felt bad saying no, but I had to since dinner was almost ready. You guys. She legit cried! That’s when I knew they had to be good! I SO wish I could have tried them to give you all a better review, but I think that sums it up. I did struggle a bit while preparing them – the “dough” was very sticky and difficult to work with – I actually emailed Sophia during the process because I thought for sure I did something wrong. I added maybe two extra tablespoons of oats to help with the stickiness factor, but in doing so, I was unable to achieve a smooth consistency. I ended up with larger pieces of oats and peanuts. Sophia was kind enough to reply to my panicked email 😉 and concluded that the dates I used were probably just really sticky/soft. 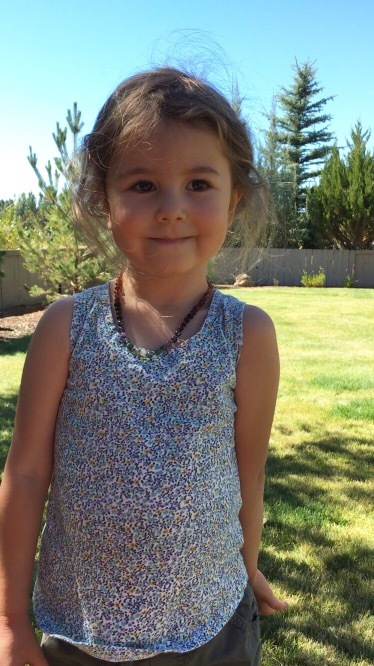 BUT I don’t really care about the process…Willow was one happy kiddo! Homemade Italian Dressing (AIP, Paleo, Vegan) >> Don’t Eat the Spatula >> Following the AIP diet can get a little tricky when it comes to dressings. Most call for coconut milk or avocado…at the time I didn’t have either. So I did a quick search on Pinterest and after scrolling through, I finally found one that called for ingredients I had on hand. I made some minor adjustments – used avocado oil, but cut it by half and used filtered water for the other 1/4 cup. I also added in some nutritional yeast (approximately 1 TBSP). I used this dressing to make a GIANT kale salad to share with family – it was a huge hit! Two thumbs up from everyone! I made another batch of kale salad with this dressing to take for lunch on the road trip – just stored it in a wide-mouth mason jar and kept it in the cooler – we added some chopped apple to it as well and it was amazing. Tapioca Pudding Porridge with Roasted Apples (AIP, vegan) >> Sweet Treats >> I honestly couldn’t tell you the last time I had tapioca pudding so when I found a recipe for it while searching for AIP desserts, I had to try it! The recipe only calls for three ingredients – four if you use vanilla extract. It was love at first bite!! I made a second batch and took it on our road trip. I love how it’s not overly sweet – only uses a small amount of maple syrup, but paired with coconut milk, it creates the perfect dessert…or breakfast! The first time I made this, I paired it with some cinnamon cooked apples and it was so comforting! So if you’re looking for an insanely easy dessert (or breakfast) give this a try! The Name of the Wind by Patrick Rothfuss >> Easily one of the BEST fiction books I’ve read in a loooooong time. Hands down. I was sucked into it after reading just the first few pages and after that, I struggled to put it down every night. It’s a very lengthy book (over 700 pages), but it goes fast – I was sad when it ended because I wanted more…thank goodness for the second book! The day I finished it, Josh hopped onto Amazon and ordered it. He has read the first two books in the series (a long time ago), but it was my friend, Jen, who told me I should read it. Sorry, Josh! I should have listened to you sooner! But seriously, go grab yourself a copy!! I gave it five stars on Goodreads. The Wise Man’s Fear by Patrick Rothfuss >> This is the second book in the series and while I’m not very far in it, I can already tell you that I’m loving it! 102 Top Picks for Homeschool Curriculum by Cathy Duffy >> My dear friend, Kris, recommended this book to me so I immediately ordered a copy via Amazon and I am SO glad that I did. It is helping me to better gauge the style that fits not only Willow, but me as a teacher. It contains an abundance of resources and through questions, it narrows down the style(s) for you – as well as describing each one – Traditional, Charlotte Mason, Unschooling, Independent Study, etc. I highly recommend it to any new homeschooling parent! Whew, that was a bit of a lengthy post! Now tell me, what were some of your favorites from September?? Did you try any new products? Recipes? Or did you read any books that you’d like to recommend? Please comment below – I’d love to hear from you! What an awesome trip! That caramel chocolate bar looks like heaven as does that garlic spread!! Gonna have to keep an eye out for those! I love the pictures! I really miss the water/ocean, what a wonderful moment and vacation. I love that you spent all day doing a puzzle we have done that several times. I find myself during the holidays, as a homeschooler, taking a mid-week break and sitting down with puzzles and games with the kids. I think monopoly is an all day game with us. I got a fun one called zombie-opoly that was a HUGE hit with the kids for Halloween time! We have been reading some Halloween books getting ready for Halloween too I will have to let you know what ones Willow might like! I love your food picks and will have to try that banana flour! That looks good and I really need a good donut recipe so I will be biting my nails for your post. I have been buying g.f., organic donuts from the natural grocers, they are pricey and have a lot more sugar than I would like. Awesome post!!! Thanks for the inspiration, always. Thank you, Kris!! There’s something so magical about being near the ocean – I sometimes miss living there…but as we’ve talked about, I do not miss the traffic and crowds 😉 I am glad we got the chance thought to spend some time there and put our feet in the sand. Love it!!! I haven’t played Monopoly in so long! We have a few games we play here with Willow, but puzzles are her thing right now. That’s so fun! I love that there are a few different versions of the original Monopoly – I’ll have to remember that one! My mom just got Willow Little Blue Truck’s Halloween…I thought it was super cute. Please keep me posted on any other books! Not sure if you’ll hate me but we eat the majestic garlic spread ALL the time! And their hummus is to die for too. LOL! SO happy you liked the protein balls, well Willow that is. Next time try soaking a bit longer, or even add more nuts for a touch more fat to counteract the sticky. Looks like SoCal was good to you. We are just a bit south from where you were. Hahahaha!!!! That’s how I was typing up this post! I had SO many tabs open. Same here – huge fan of tapioca flour and I’m loving this cassava flour – although I’m still learning how to use it, if that makes sense? I’ve found that the texture can be a bit chewy. I am a sucker for all things vanilla bean! I actually prefer it over chocolate – this smoothie mix smells amazing and has so far paired well with anything I combine it with. I literally squealed when we saw all of these products! I swear I feel like I’m missing out here in Bend 😉 CA seems to have all of the cool products! That tapioca pudding recipe is insanely easy – I had no clue it was that easy to make! I actually made another batch of it last night and in Willow’s half I stirred in some melted chocolate…it’s also really good with cinnamon! That pic of Willow on the beach is just stunning!! I seriously am so envious of the beautiful weather there. Thank God we have been having some gorgeous sunny cooler weather lately and it has been so wonderful. That garlic spread looks and sounds out of this world. Anything with tons of garlic has my attention, haha! Wow, I saw all these paleo references to links and titles and thought you went paleo for a second, LOL!! But I do realize that many recipes are both vegan and paleo. There are so many different types of diets and elimination diets that it can be a bit confusing sometimes. It was crazy how hot it was in CA while we were there – over 100 – definitely felt nice to come home to cooler weather. Now it’s chilly enough that we run the fireplace in the mornings! I honestly thought of you while eating the garlic spread! Haha!! It’s seriously SO dreamy and strong in garlic flavor…I could eat it all day long! Ha! Yeah, paleo overlaps with a lot of other diets, like AIP and vegan – so I can see how it can get confusing! I actually had someone email me asking if I stopped being vegan because they saw the paleo reference made so much! Had to clear that up pretty quick! Love the pictures ! especially pic of Willow ate her strawberrie pop. I just got two boxes of cassava Flour ( I went to Indonesian social gathering two weeks ago, and one of the member gave me those Flour) . I can’t wait to see your donat recipe with cassava flour. My favorite flavor of TheBu are Chai Spicy and Lavender! I’m glad your trip went okay. 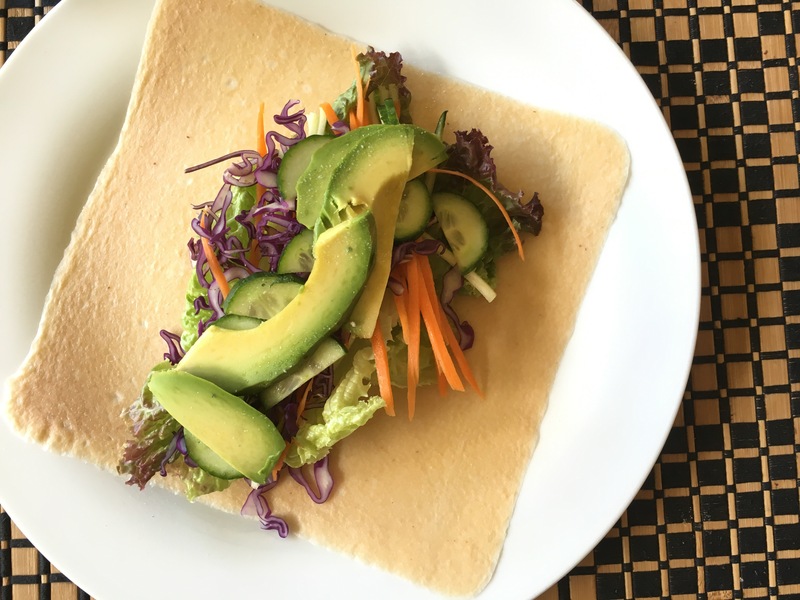 YES to cassava flour, coconut wraps, banana flour, and I need to try the tigernut smoothie packs!! Ah! And that garlic spread? O dear! Love…although my tummy wouldn’t! I am SO jealous that you have that garlic spread by you! Such an amazing product!! I emailed the company to see if they can come here to Bend. YUM!! I’ll have to look for the tropical one next time – thank you! I LOVE this post, for soooo many reasons! You always inspire me with your new product finds, honestly so amazing – I will have to hunt several of those things down at Whole Foods next time I go! And of course, what a gift to see you and Willow and your mama while you were in California… I am still so thankful you made the time and space in your schedule to meet up with us! Awwww! Thank you, sweet friend!! I swear, the Whole Foods in Long Beach was dangerous….good thing we only stopped in there once because otherwise, we would have gone broke! 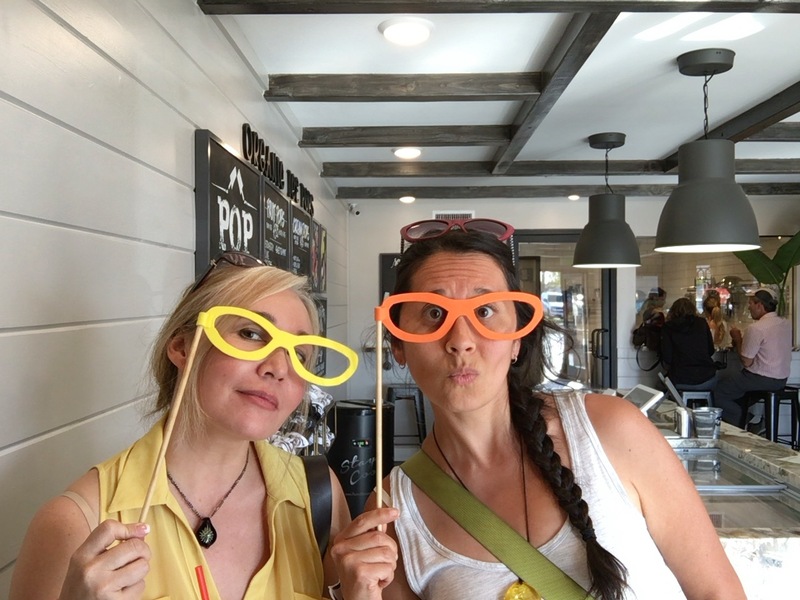 SO many fun, new things or products I’ve been anxious to try and haven’t seen here in Bend! If you love garlic (like me) then you absolutely have to pick up a tub of that garlic spread first because it is so dreamy! !